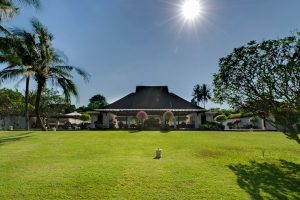 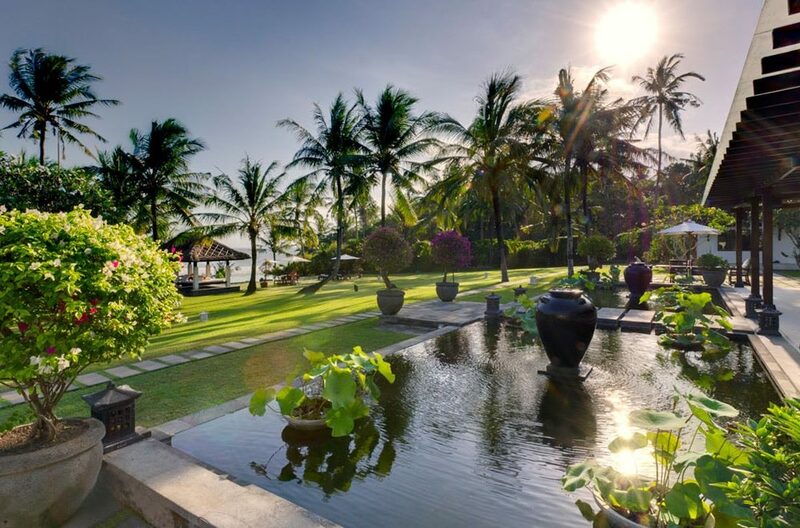 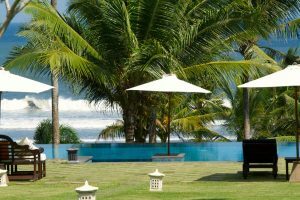 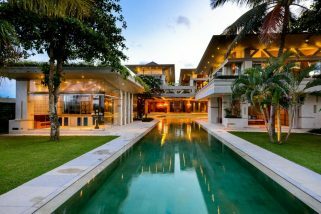 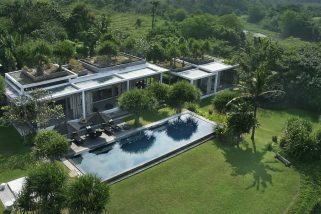 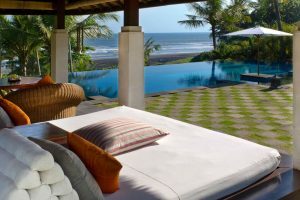 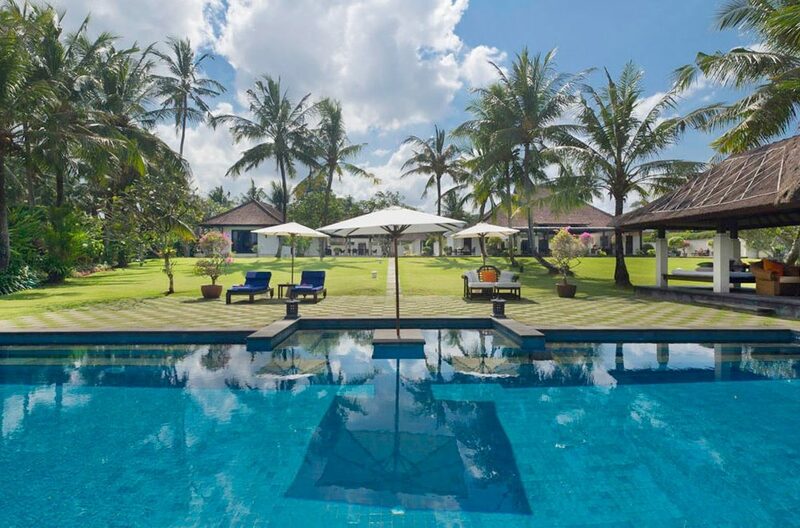 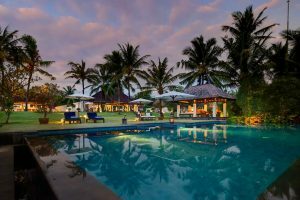 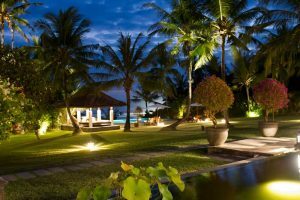 Situated on 11,000sq meters of prime beach front land, Villa Kailasha features incredible outdoor manicured lawns that roll down to the beach where guests can relax in the large poolside bale just meters from crashing waves. 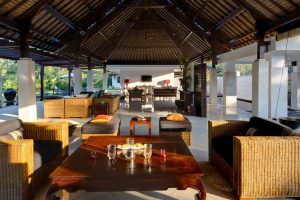 The main living pavilion features soaring ceilings, comfortable rattan lounges and incredible views. 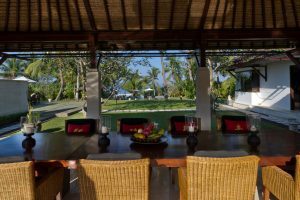 There is an outdoor dining area for 8 and a second alfresco dining table that seats 10. 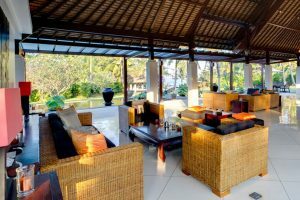 Entertainment includes 4 satellite TVs, DVD Player, iPod dock and Stereo system with CD player. 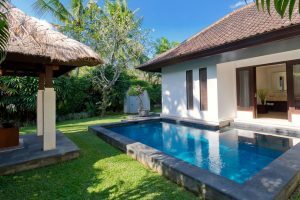 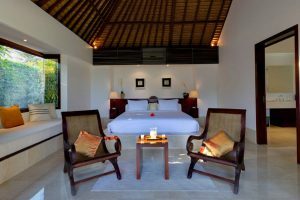 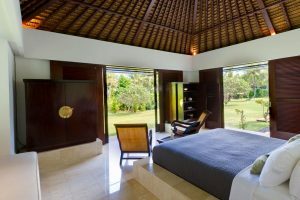 Three bedrooms comfortably accomodate 6 guests while the villa can hold gatherings for up to 200 guests. The master bedroom features a king size bed and another two en-suite bedrooms also offer king size beds. 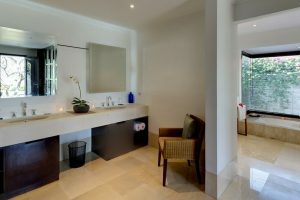 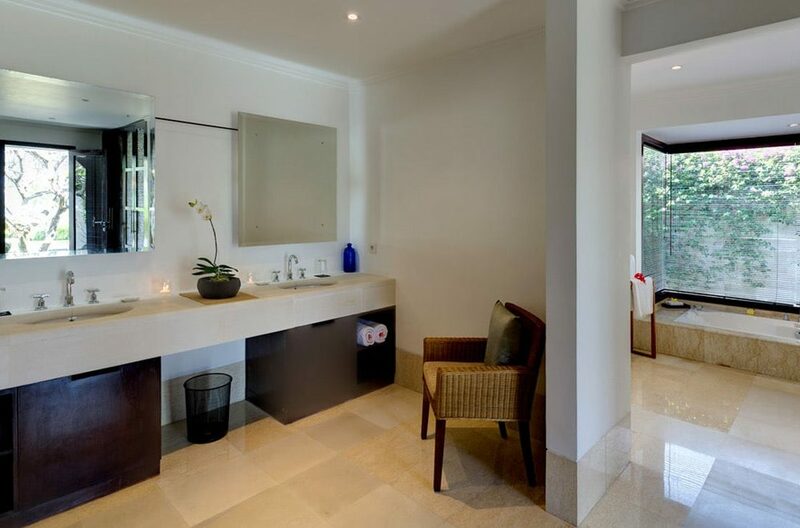 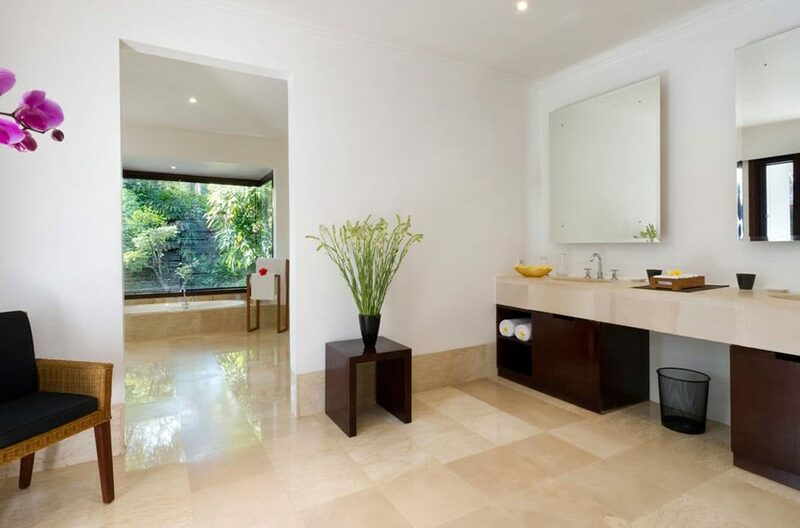 The master has it’s own private plunge pool and all rooms feature spacious en-suite bathrooms. 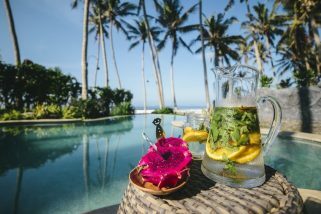 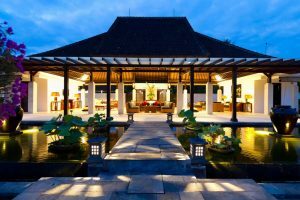 Our team of polite, thoughtful staff, including an in-house cook and experienced villa manager, are on hand to prepare meals and look after your every need, leaving you free to rest, relax and perhaps raise your glass to another legendary Bali sunset. 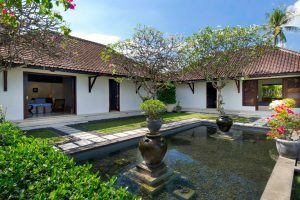 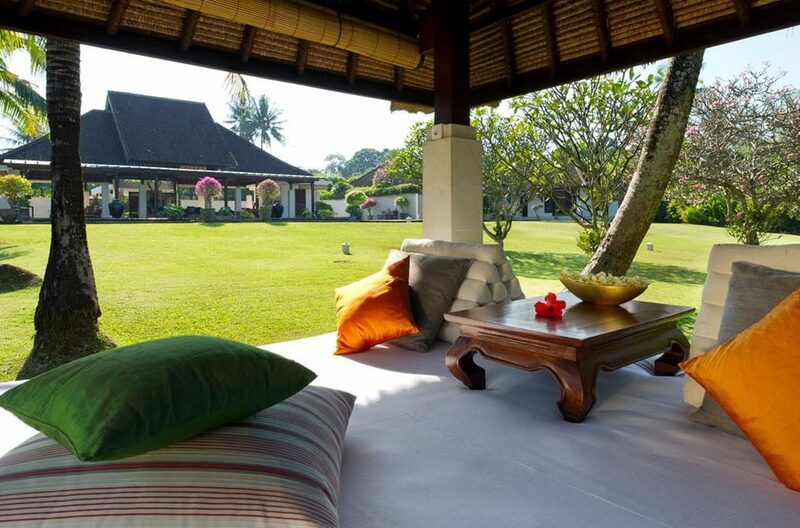 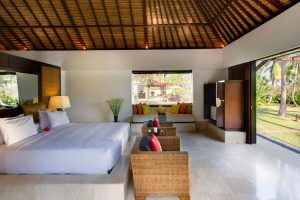 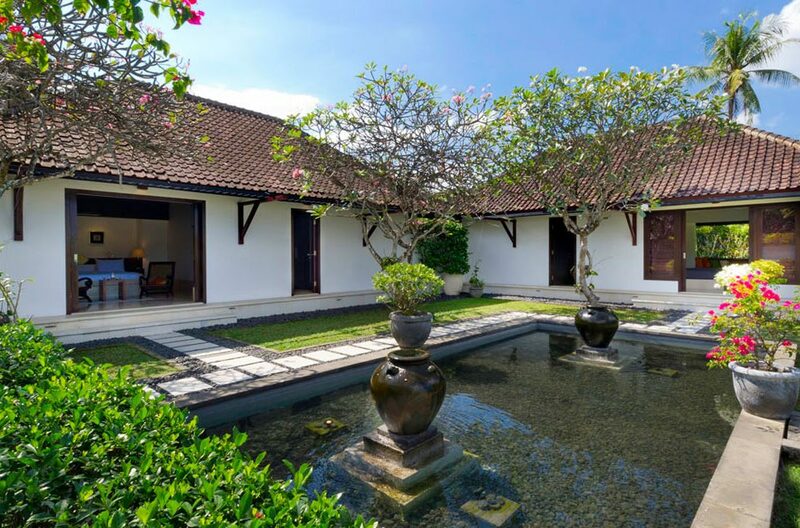 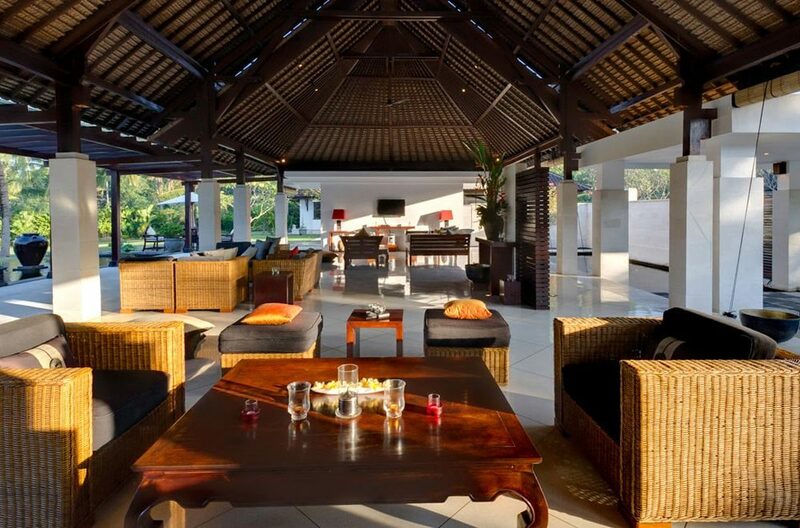 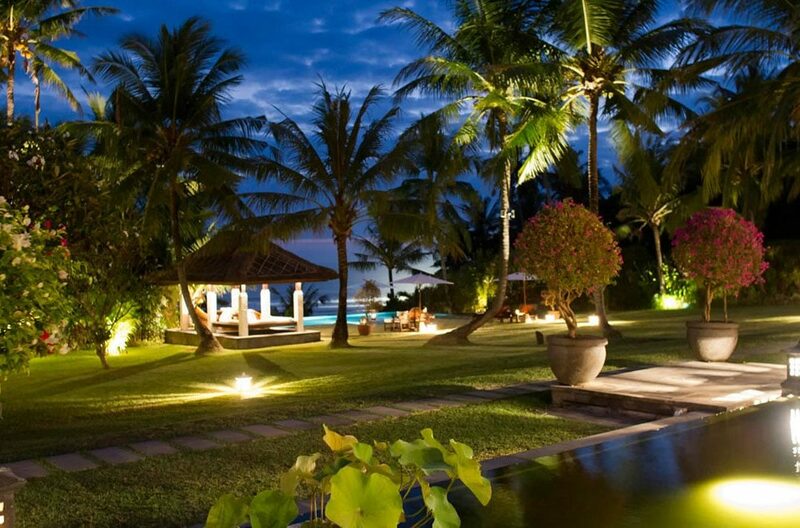 Banjar Dukuh, Tabanan is where the villa is located with absolute beach front access. 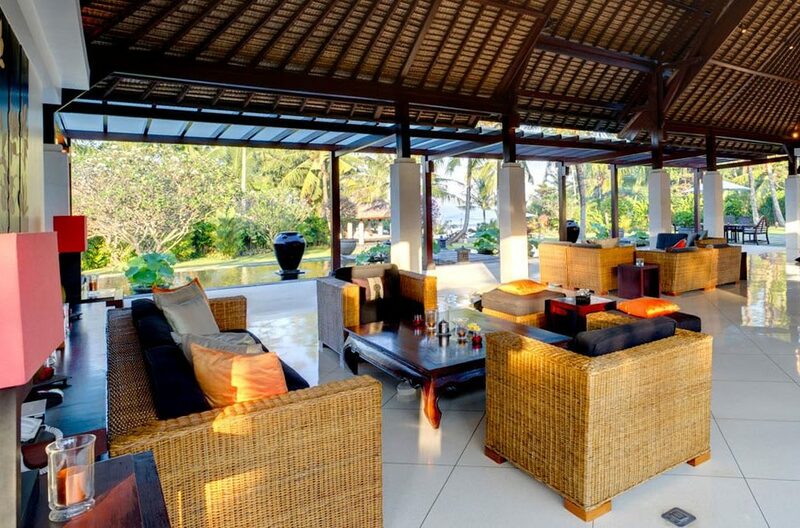 The villa is 42km from the airport.